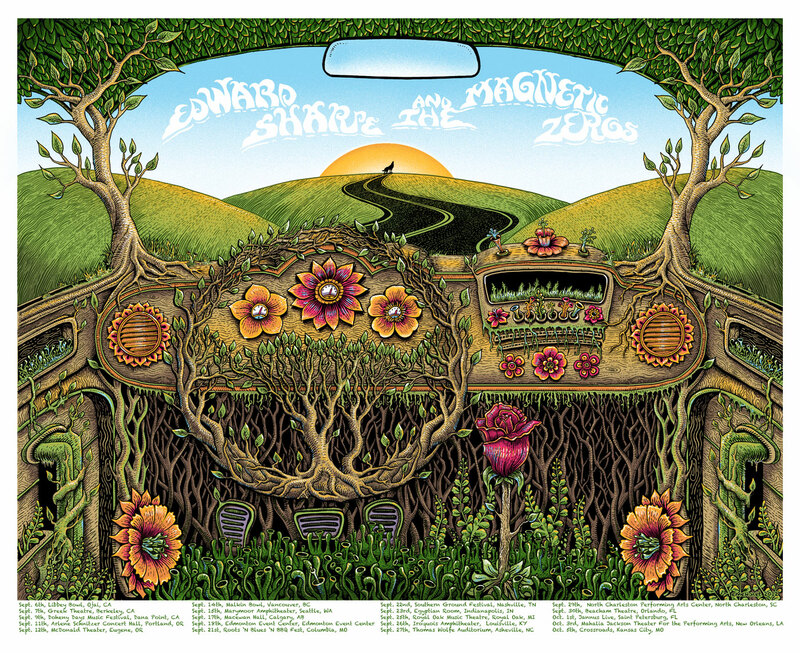 On October 13, when Emek pulls into the Hall of Flowers parking lot for the 14th annual Festival of Rock Posters, he’ll do pretty much what he’s done the last few years he’s attended the show. 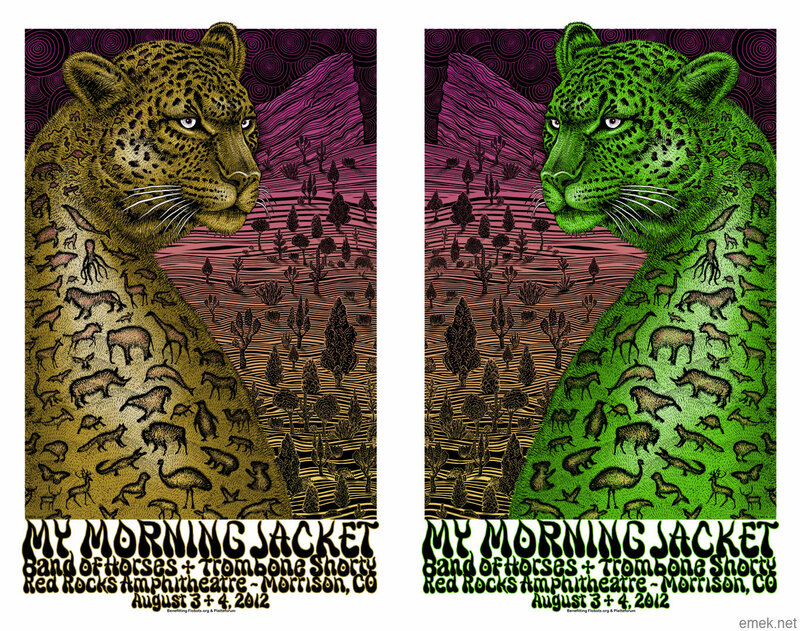 With the help of his wife, Ronni, he’ll painstakingly unpack his past year’s crop of posters (Blacks Keys in Charlotte, Bon Iver and Radiohead in Santa Barbara, Sigur Ros in Edgefield, Pearl Jam in Stockholm, My Morning Jacket at Red Rocks, Erykah Badu in Istanbul, Neil Diamond in New York, and more), hang examples of each onto metal grids set up by volunteers from The Rock Poster Society, and then spend the rest of the day selling, signing, and doodling for collectors and fans. This year, though, there’ll be a new addition to Emek’s routine—coping with rheumatoid arthritis, which he was diagnosed with earlier this year. To get the melodramatic analogies out of the way, being an artist whose known for his dexterity with a Pigma Mircon, and then finding out you have rheumatoid arthritis, is like being a cyclist with an inoperable knee injury, a jazz lover who’s slowly going deaf, an art aficionado who’s gradually losing his sight. You get the idea. Sure it’s gallows humor, but not bad for a guy who’s still coming to terms with a disease that is generally degenerative and for which there is no cure. 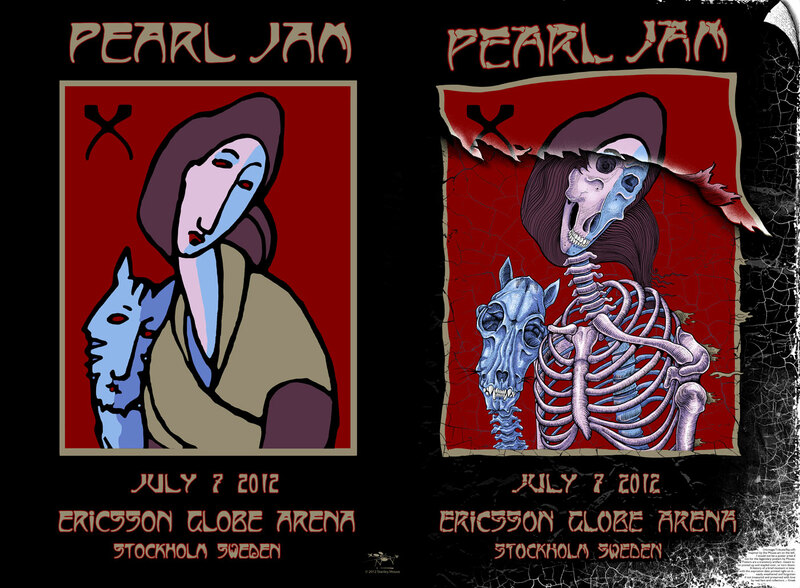 There’s a curious irony to Emek’s current predicament. “I’m very interested in the engineering of human anatomy,” he told me in an interview in 2011. “Bones and blood and guts are the moving parts. 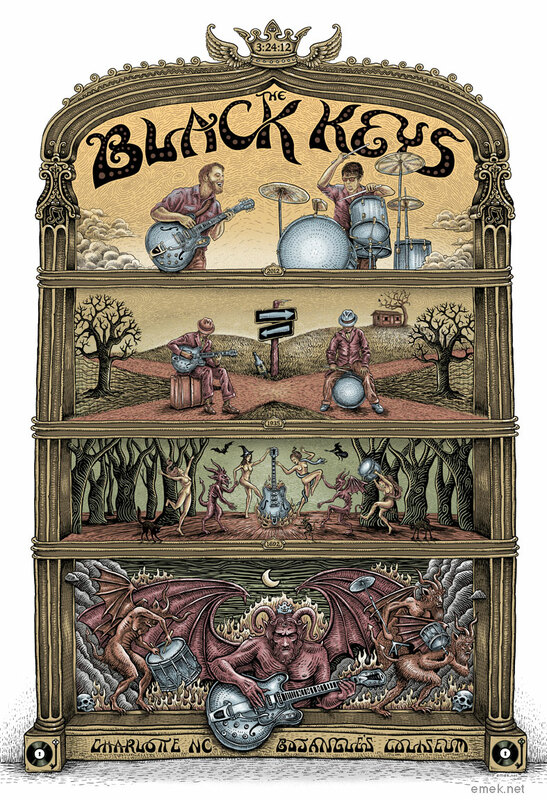 I go to the mechanics of things.” Now that those mechanics are not cooperating, people who have followed Emek’s career can’t help but wonder how rheumatoid arthritis will affect his work. 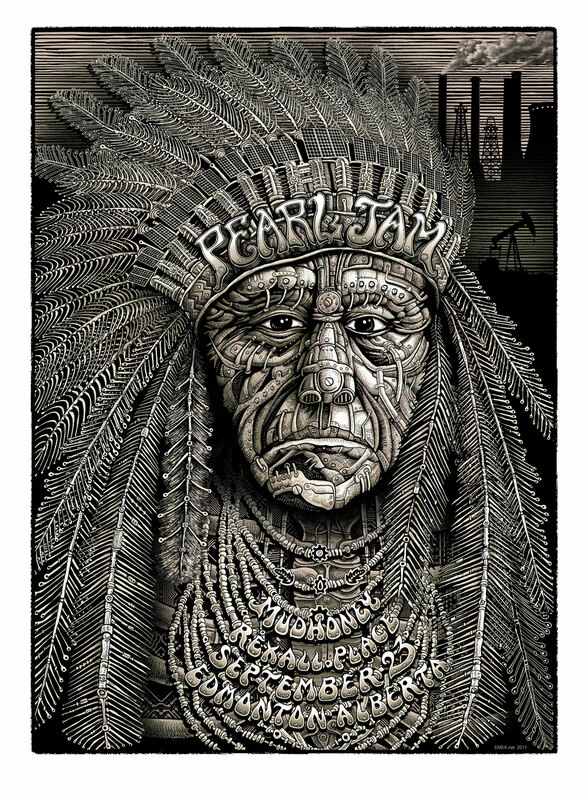 Have we seen the last of posters like the one he created for Pearl Jam’s Edmonton show in 2011, in which each meticulous, boney feather in the chief’s huge headdress was drawn by hand? But even though rheumatoid arthritis is having a major impact on his life right now, it has not been the sole determining factor of his 2012 output. 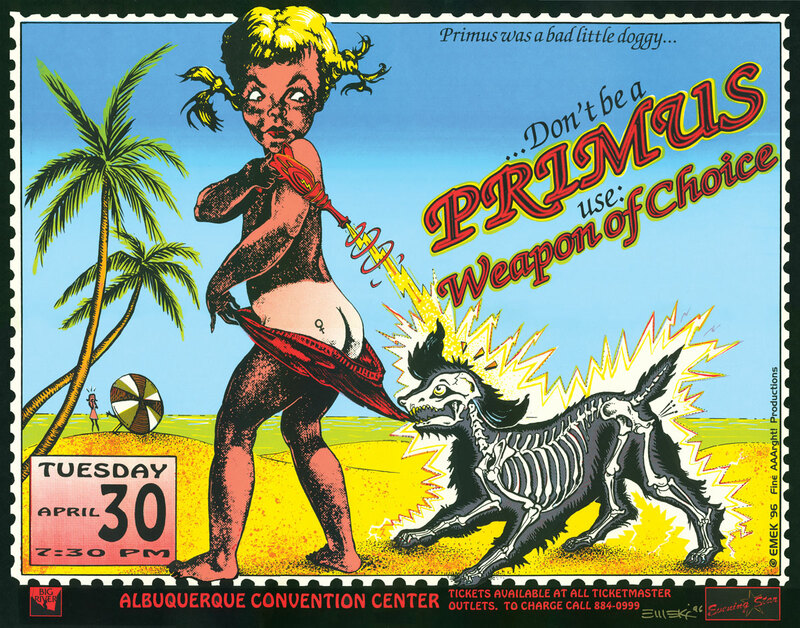 In fact, Emek’s work has always been characterized by its range, from the appropriated-graphics look of posters such as the one for Primus in 1996 to the obsessive detail of Pearl Jam Edmonton. “I like to work in different styles,” he told me last year, well before arthritis began to drain his energy and balloon his fingers and toes. “I like using different techniques, but to me the most important thing is the concept. I like to come up with a concept that reflects the vibe of the band, but also something that will motivate me. Sometimes drawing can be a chore, so I like to have a story I’m excited about. Then I can decide on pens or scratchboard or whatever.” How his hands feel on a given day comes after that. Whether there’s a deadline looming or his RA is acting up, Emek usually tries to come at the assignment from a couple of different directions. 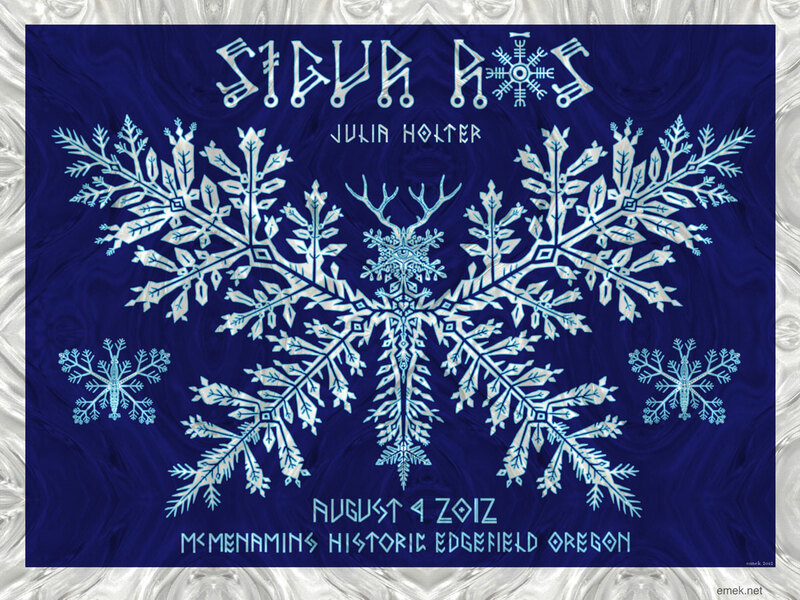 “I start with a simple image,” he says, “then I’ll see how much time I have left. But it’s not like the noodley pieces always take longer. 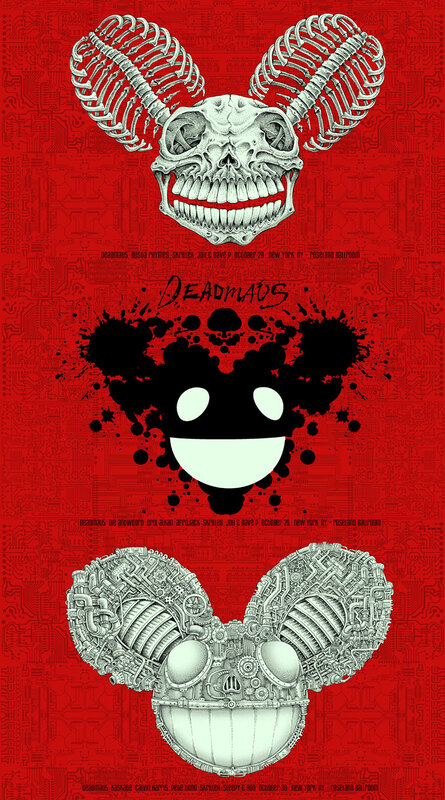 Sometimes simple ideas take a lot of time to get going, like the Deadmau5 poster in 2010.